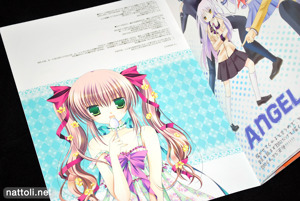 Bougainvill is a staple-bound, B5-sized, full color doujinshi that's 20-pages when counting the covers. 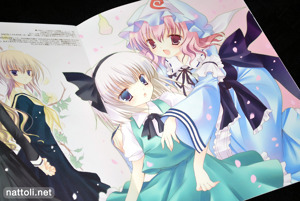 The illustrations vary between fan arts and original works and even manage to squeeze in the (almost) obligatory Touhou illustration. 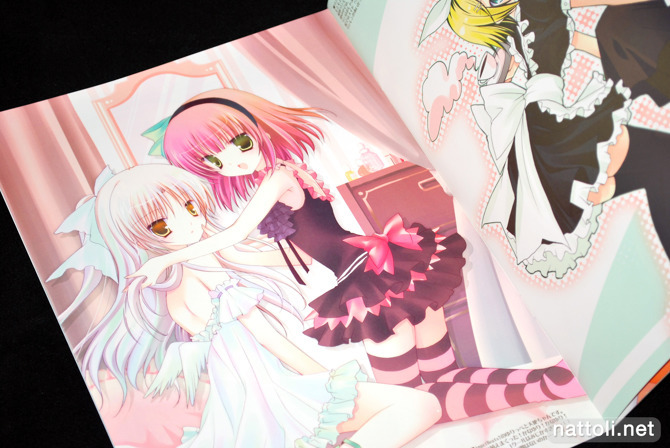 Shirogane Hina works with a very pale color palette, and aside from the cover art, most of the illustrations lack vivacity. Instead, there's a yellow hue overcast to many of the illustrations, something that isn't found on the same digital works, so I can only guess it was a printing error. It doesn't affect the images too much though, as they were already quite pale to begin with. 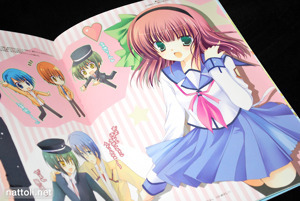 Otherwise, the printing is very high quality, with a clean FM screening. 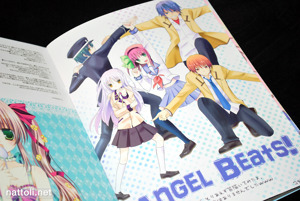 There was no theme to the overall book, and the fan arts included came from Angel Beats!, Touhou, Maria-sama ga Miteru, Vocaloid, and Precure. 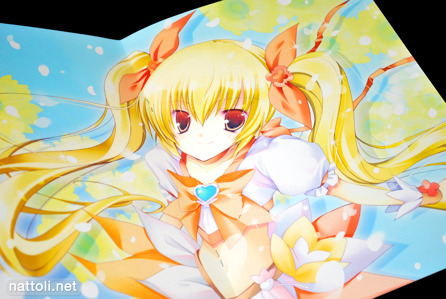 A fan art of Cure Sunshine received a two-page spread, but you can also find it on Shirogane Hina's Pixiv. 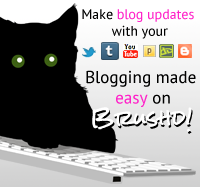 Thanks for the thoughts on this! Was tempted to go for Bougainvill as well, so now I know what to expect. There's something cute about Shirogane's style (blame it on the eyes) that caught my attention. 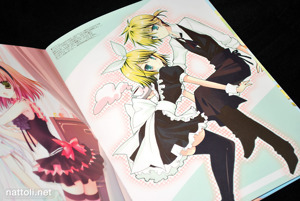 The Kagamine as waitress/waiter art looks neat!